Sold 12 March 1940 through (Charles Sessler, Philadelphia) to Lessing Julius Rosenwald, Jenkintown, Pennsylvania; gift 1943 to NGA. 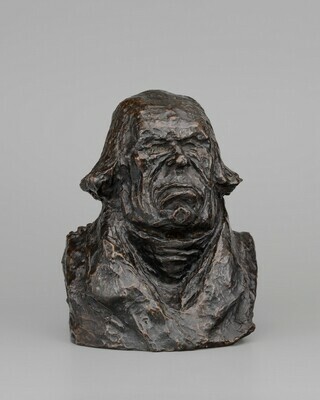 Daumier Sculpture: A Critical and Comparative Study, Fogg Art Museum, Harvard University, Cambridge, Massachusetts, 1969, no. 24b, repro. Honoré Daumier 1808-1879, National Gallery of Art, Washington, D.C., 1979, no. 4, repro. Daumier: 1808-1879, National Gallery of Canada, Ottawa; Galeries nationales du Grand Palais, Paris; The Phillips Collection, Washington, D.C., 1999-2000, no. 33b, repro., as Odier (shown only in Washington). Gobin, Maurice. Daumier Sculpteur, 1808-1879. Geneva, 1952: no. 17. Summary Catalogue of European Paintings and Sculpture. 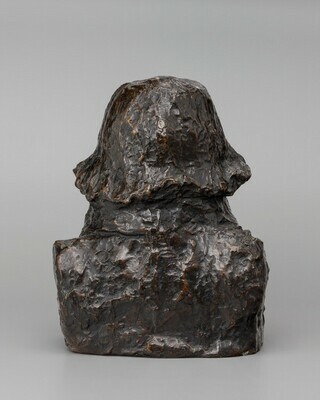 National Gallery of Art, Washington, 1965: 150, as one of The Deputies, complete set of 36 bronze busts. Sculpture: An Illustrated Catalogue. National Gallery of Art, Washington, 1994: 57, repro. Butler, Ruth, and Suzanne Glover Lindsay, with Alison Luchs, Douglas Lewis, Cynthia J. Mills, and Jeffrey Weidman. European Sculpture of the Nineteenth Century. The Collections of the National Gallery of Art Systematic Catalogue. Washington, D.C., 2000: 170, color repro. 171.